The biggest meal I could get for the food voucher. 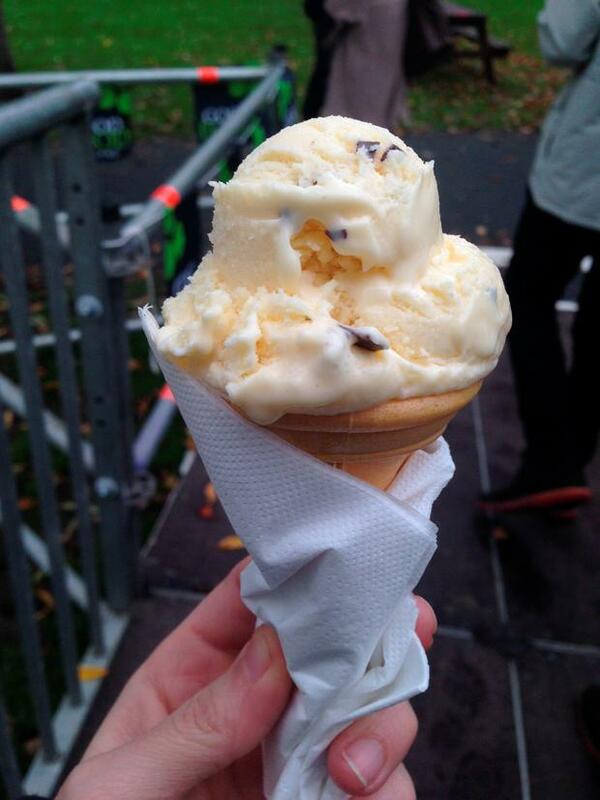 Yesterday, #Foodgate trended on Twitter as attendees at the Web Summit took to social media to complain about the servings of food provided in return for the €20 food voucher offered to attendees. Some of the stalls in the food hall. More of the food on offer. Choice is not lacking in the Food Summit. The voucher was believed to be the only way to eat at the Summit, and it is the best way, but on my travels across the road to the Food Summit I passed by a café just inside the Anglesea road entrance to the RDS, offering a full-Irish breakfast for €10. So, there are other options, at least in the morning. Upon my arrival at the Food Summit I perused every stand, sizing up the different options available. The one that most intrigued me - that I didn't get to measure for size - was the 'wood-fired pizza', which sounds like it could have been the biggest portion on offer. However, based on the size of everything else on offer I imagine that it would have been a similarly-sized portion shoved into the same box everything else came in. It seemed that no matter which stand you went to - the 'twist on bacon and cabbage' stand, the fish and chip stand, the burger stand - that everything was portioned to fit into a small cardboard case, slightly smaller in size than your average curry cheese chip box. This means the 'twist on bacon and cabbage' was that it was in a small baguette roll and placed in the box. The fish and chips were a handful of thick cut, chunky chips and a small lump of fish. While the size was disappointing, the food did look and smell good, and in my investigation I managed to find a stand which was offering a bigger portion - in their own food casing. As a result, for my €20 I got a duck wrap with a side of wings in a large plastic covering, similar to that of a deli. So now I'd gotten my meal, it was time for the trappings. I really think I was only supposed to take either a cookie or a packet of crisps but I capatilised on the girl behind the counter's uncertainty and took both. I picked up a bottle of Deep Riverock and washed down my meal with a Glenilen farm yogurt, a mint chocolate chip ice-cream cone and a cappuchino. Tickets this year cost €1,618 if you waited until the week of the conference and didn't avail of any early-bird or two-for-one rates. Attendees are understandably angry about having to pay an extra €20 on arrival to eat. However, with a little bit of research the value for money can be quite good. 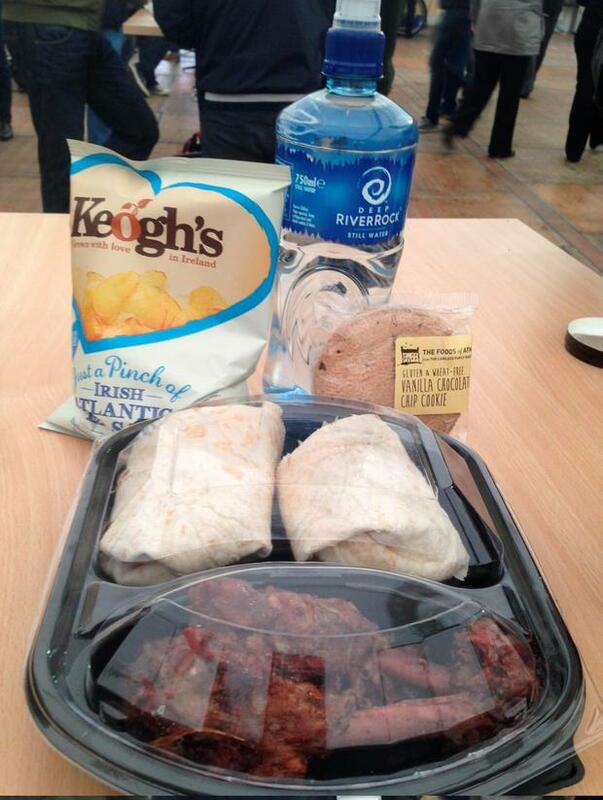 The duck wrap and wings I ordered could easily have been priced at ten or twelve euro at your average festival. We'll bring it down and call it €9 - for a meal that size at such a big event, that would be a more than fair price. Retail price for the water is €1.20 in Tesco, the crisps €1, the coffee up to €3 elsewhere in the event. The small yogurt retails for around €1.75 and we will estimate the cone at around €1.50. This means that (by my calculations) I got around €17.50 worth of food for my €20. This figure entirely depends on my evaluations being correct and to be honest, while it may seem quite steep, I felt that I got a good dinner for my voucher. The problem I had was more with seeing how much I spent in advance rather than just blindly handing over money like I would normally do, and adding it up later.